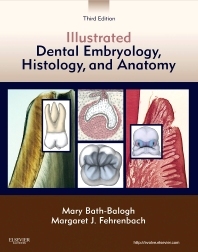 Featuring detailed illustrations and full-color photographs, Illustrated Dental Embryology, Histology, and Anatomy, 3rd Edition, provides a complete look at dental anatomy, combined with dental embryology and histology and a review of dental structures. A clear, reader-friendly writing style helps you understand both basic science and clinical applications, putting the material into the context of everyday dental practice. Going beyond an introduction to anatomy, this book also covers developmental and cellular information in depth. Color photomicrographs make it easy to discern microscopic structures. Expert authors Mary Bath-Balogh and Margaret Fehrenbach provide an essential background in oral biology for dental hygiene and dental assisting students, including excellent preparation for the National Board Dental Hygiene Examination (NBDHE). Comprehensive coverage includes all the content needed for an introduction to the developmental, histological, and anatomical foundations of oral health. High-quality anatomical illustrations and full-color clinical and microscopic photographs enhance your understanding. An approachable writing style makes it easy to grasp and learn to apply the material. A logical organization separates the book into four units for easier understanding: (1) an introduction to dental structures, (2) dental embryology, (3) dental histology, and (4) dental anatomy. Summary tables and boxes provide quick, easy-to-read summaries of concepts and procedures and serve as useful review and study tools. Clinical Considerations boxes relate abstract-seeming biological concepts to everyday clinical practice. Learning outcomes at the beginning of each chapter clearly identify the information you are expected to absorb. A glossary provides a quick and handy way to look up terminology. A bibliography lists resource citations for further research and study. Student resources on the companion Evolve website enhance learning with practice quizzes including rationales and page-number references, case studies, a histology matching game, review/assessment questions, tooth identification exercises, and WebLinks to related sites.